Merge fields of the e-mail templates are filled. 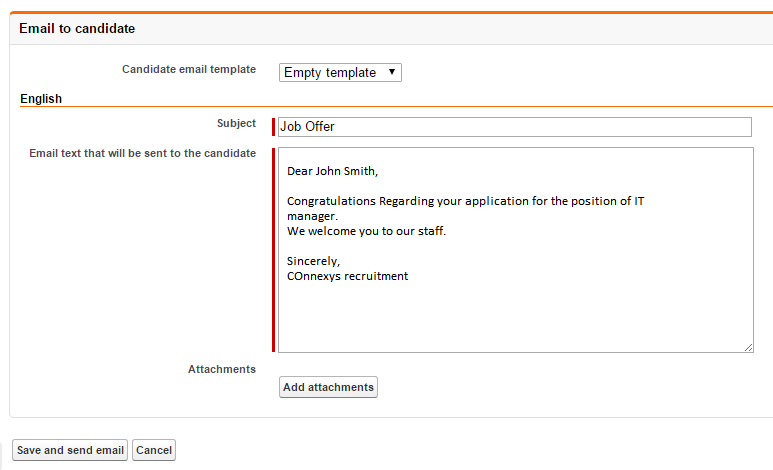 Before sending an email at a selected step, the generated merge fields will be filled with the corresponding text. This makes it easy to re-read, review and edit your emails to all contacts before sending from the application.